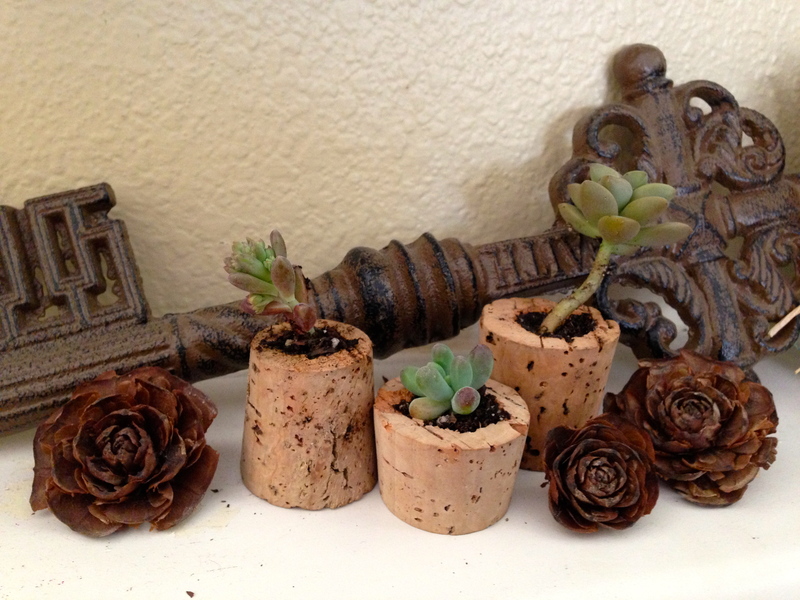 I was inspired when I saw these fatty corks at the thrift store and got them all for a buck- I didn’t know what to make at the time- but I woke up this morning and it hit me! 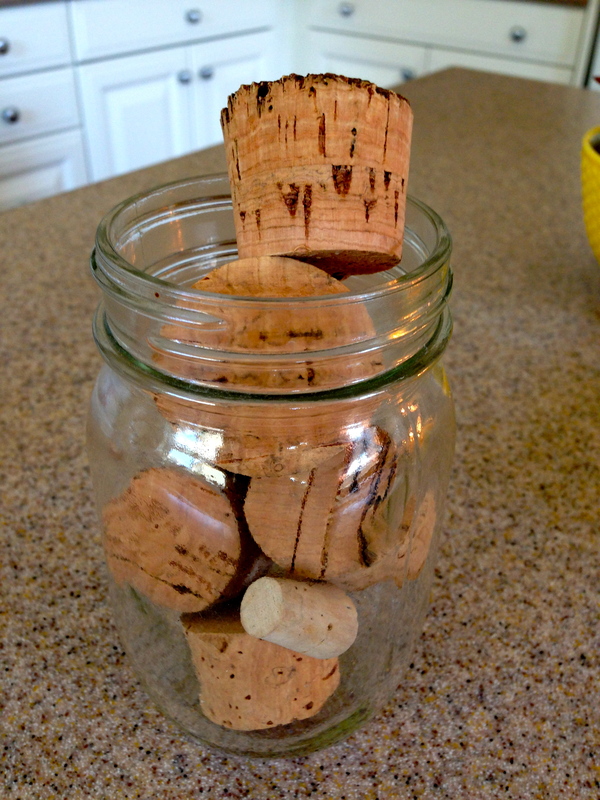 Start by drilling the center of your cork out, I did this over a trash can because it will get messy with cork bits flying! Be sure to not go all the way through the cork, just a few centimeters above the base. 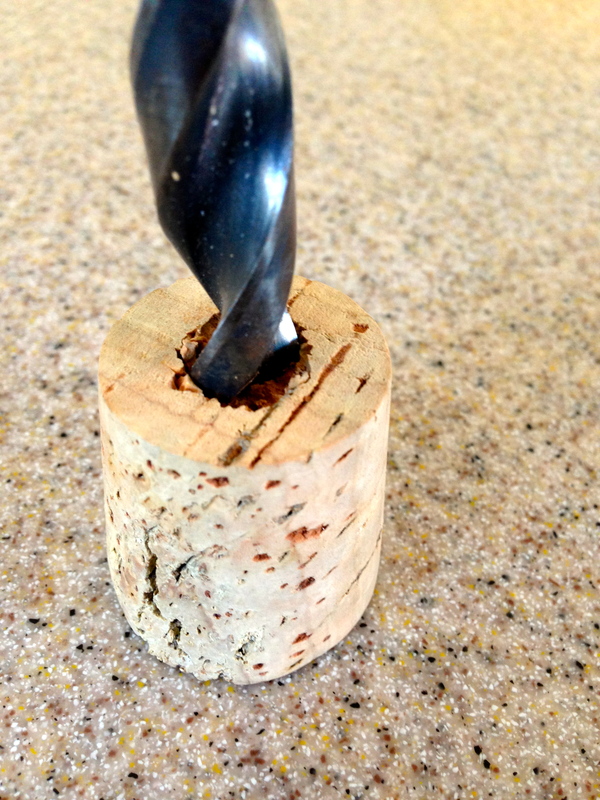 If you want a wider lip than “stir” your drill around in the cork like you would a spoon in a bowl, widening the lip.